Hello everyone! This is Mollye from The Suite Life Designs. I am so excited to be here sharing with you what is inspiring me in the land of interior design at the moment. With summer just around the corner I am finding myself drawn to coastal chic spaces. I love the comfortable relaxed feeling of being by the ocean. The blues and beautiful neutrals are so inspiring to me. When it is summer I always want to be by the beach and these spaces definitely give you the feeling of being on the coast with their use of color and texture. Creating the perfect coastal space is all about finding the right textures and relaxing colors. Jute rugs, wood pieces, and the use of calm water colors are some of my favorite details to include when creating the perfect coastal retreat. 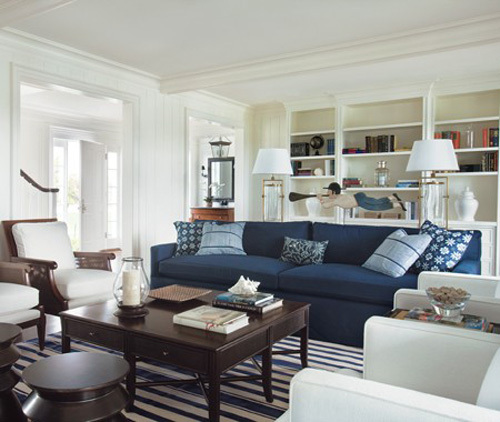 This crisp blue and white living room uses nautical touches such as the striped rug to pull this space together. 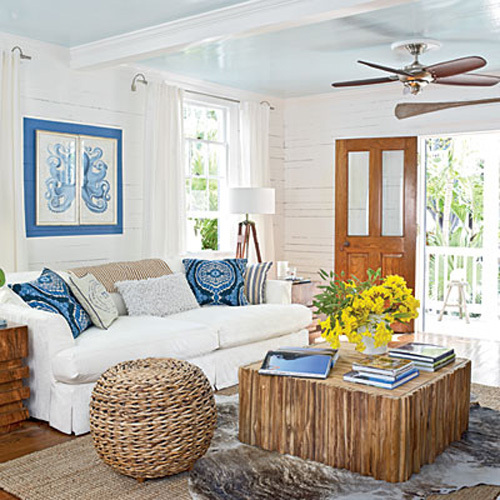 The different textures used in this coastal living room, designed by Amanda Nisbet, are beautiful. The rope seating, wood table, and tufting on the couch add a lot of interest to the space. Looking at this living space I am immediately transported to a sea side cottage. The layering and use of natural materials make this room comfortable and inviting. The classic blue and white color combination in this bedroom creates a relaxing oasis. I love the contrast between the rich blue and crisp white. The sea-inspired color palette used in this bedroom is bright and airy. It is the ultimate sea side retreat. This has been one of my favorite beach inspired spaces for quite some time. The comfortable, casual space is still very sophisticated and captures the relaxed feeling of being by the water. Are you inspired by coastal spaces as well? 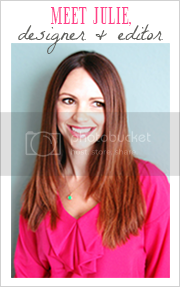 I hope you stop by The Suite Life Designs to say hi and see what is inspiring me next! Beautiful. 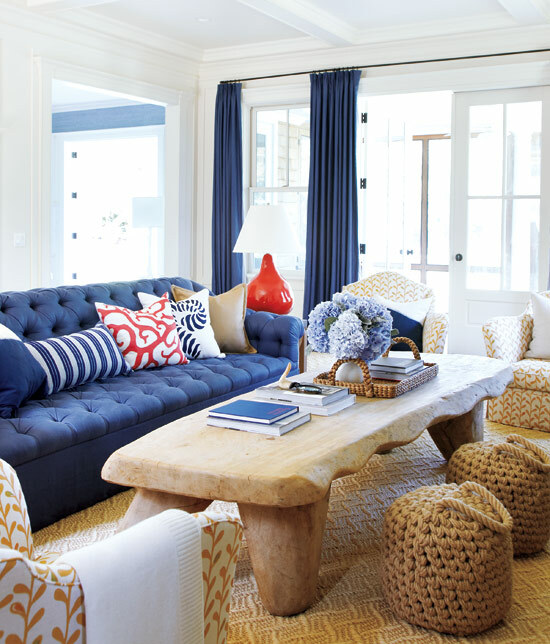 I love the nautical look but something that can be easily transitioned for all seasons and living spaces. Love the peach and aqua! I wonder how do you find white (or very light) couches and sofas practical, now that you have a child. I know it looks awesome on photos, but e.g. our microfibre sofa in cream is 99 % of time covered with not so handsome fleece plaid. What material would be the most practical? 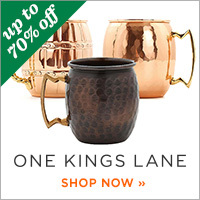 We absolutely love your blog and take inspiration regularly from your posts.